There’s a new hotel in town, and it’s made from recycled shipping containers. 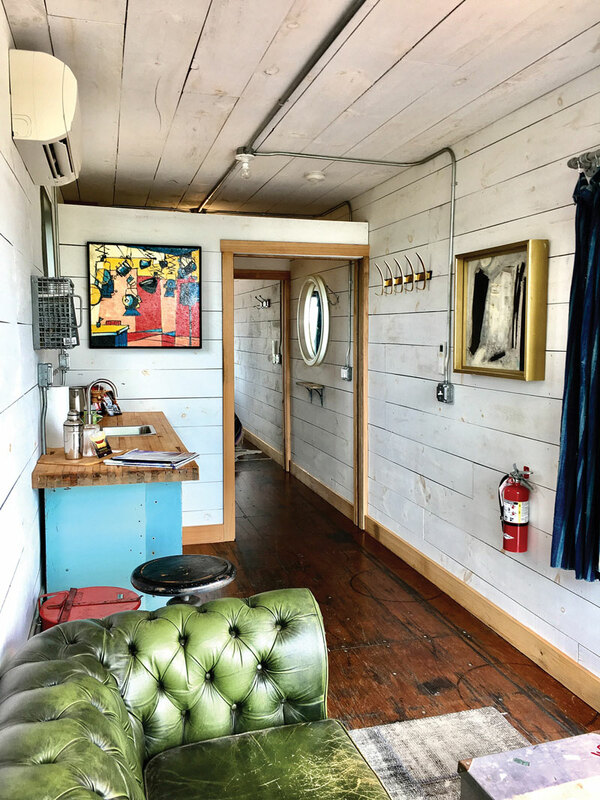 ROUND TOP, TX—Flophouze Hotel isn’t your typical hotel property—but, then again, founder Matt White isn’t your typical hotelier. The owner of Recycling the Past, a company that specializes in architectural salvage, White was drawn to this Texas town for the same reason so many are—the Round Top Antiques Fair. 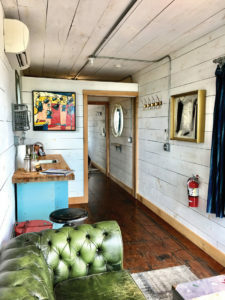 A haven for eclectic, old and unique items, the setting was the perfect location for Flophouze Hotel, a lodging offering that’s made up of recycled shipping containers. Naturally, sustainability is inherent in every aspect of the recycled containers. The interiors are clad with sustainably harvested wood from a farm in Upstate New York and reclaimed lumber from a distillery in Kentucky. To capture the pastoral views, the windows were salvaged from a school in Philadelphia that was slated for demolition. Additionally, the kitchen cabinet bases are made from a laboratory in Brooklyn and countertops come from bowling alley floors. “Every now and then we had to bring in a new feature, but all the interior cladding material is salvaged from different spots,” White said. “Each one is bespoke. The recycled factor is the ultimate goal. It’s for people to see what can be done with reclaimed materials. “We build these containers with soul. We put our heart into these projects like everything we do in the reclaimed business,” he added. While the property does have WiFi, Flophouze aims to have guests focus on a real-time experience. “We don’t have TVs. We made a cooking area for people with a grill, a great smoker, we’re getting bikes for them to ride,” White said. Additionally, Flophouze is installing a shipping-container pool from Modpools. There are plans to add another unit to the property, and White noted that he’d love to expand the concept to other areas. “We’re a multifaceted property that has the potential to go anywhere. These can be picked up, put on the truck, moved anywhere. You need some infrastructure, but they’re perfect for the coast, for the tropics—anywhere in the world,” he said. And, he noted, they could be a differentiator for hotel properties that have the space for them. “A hotel could have three extra units that will help bring a little pop to the place,” he said.